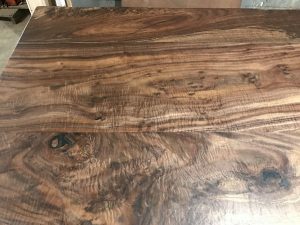 One of our farmer friends who has us salvage quite a few Black Walnut trees from his ranches just got done building a new office. 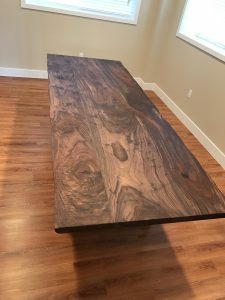 He called and asked if we could make him a conference table out of one of the trees from his property. We had the perfect tree in mind, it was one we salvaged just about 3 years ago. 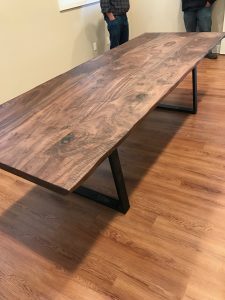 We personally salvaged the tree and had the honor to turn the slabs into a beautiful one of kind custom conference table for him. Here is the link to the story and video of us salvaging the tree.